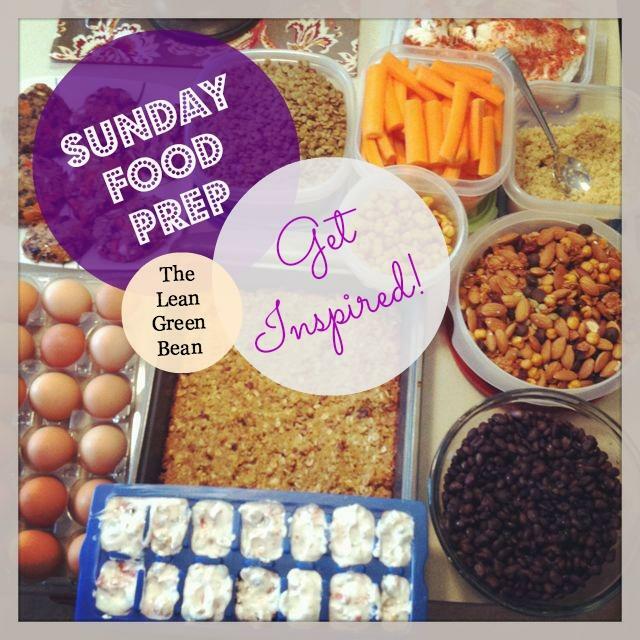 Time for another round of Sunday Food Prep! I prepped ingredients for 5 weekday kale salad lunches! Each morning, I plan to mix and match some greens, protein, and fixings into a lunch container and take it to go. 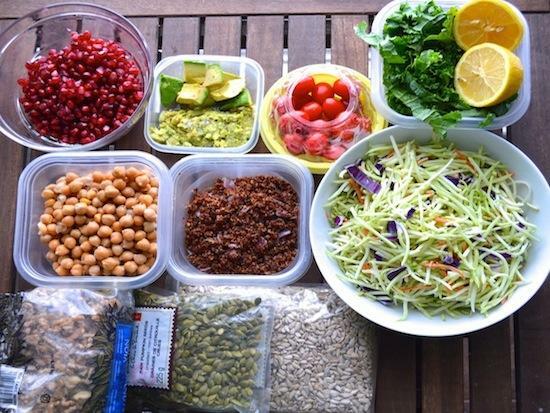 My homemade salad bar includes: kale, broccoli slaw, quinoa, chickpeas, seeds (pumpkin and sunflower), walnuts, pomegranate seeds, avocado, cherry tomatoes, and lemons for dressing. 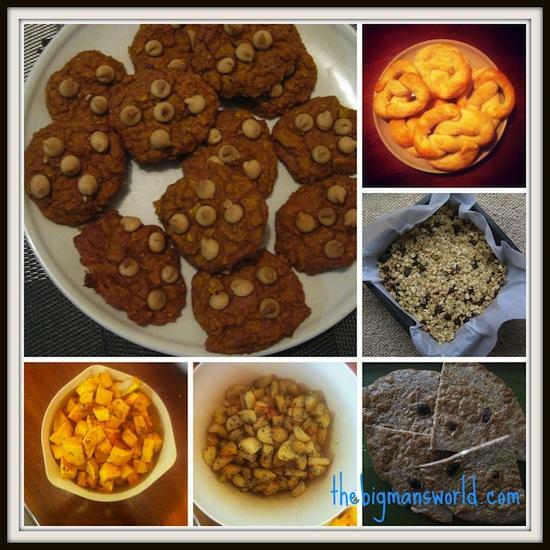 In the pic is your recipe for the GF sweet potato banana muffins. No chocolate chips. 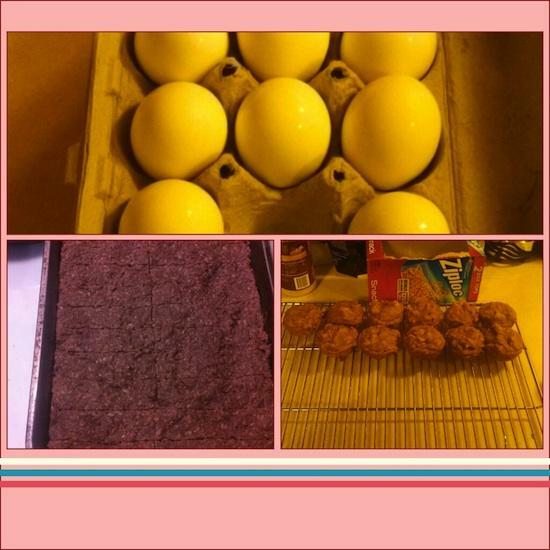 Also featured are the quinoa breakfast bars. And Hard Boiled eggs, of course. Best part, my kids love them both! 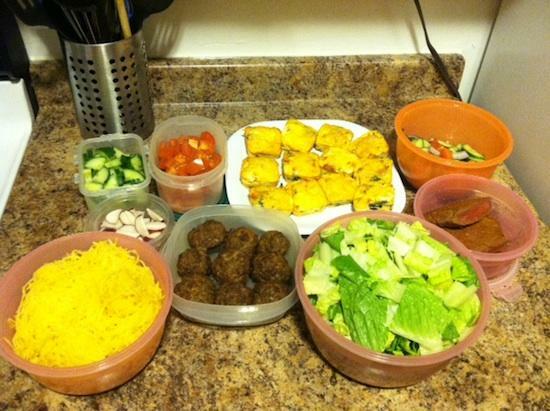 This week my food prep consists of mini crust-less quiches for easy breakfasts at work, steak and chopped veggies for easy salads for lunch, and then spaghetti squash and meatballs for ready to go dinner! It’s soooo much easier to have all the cooking done before the week begins because then I’m less prone to go for the easy, microwaved, processed food! I also have some cut up apples w/ almond butter and beef jerky for snacks! This morning (Monday) was so much easier to make a simple clean breakfast/lunch since everything I needed was right at my fingertips. 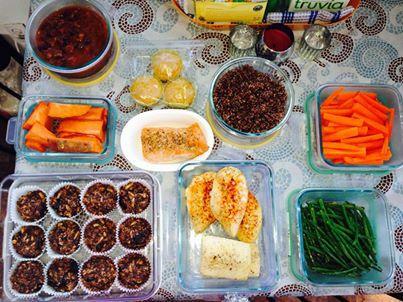 Most of this food prep will be used for quick breakfasts and several dinners. Coming up to the holiday season, alot of my meals will be unstructered so having some options ready will be beneficial. Everyone did great! 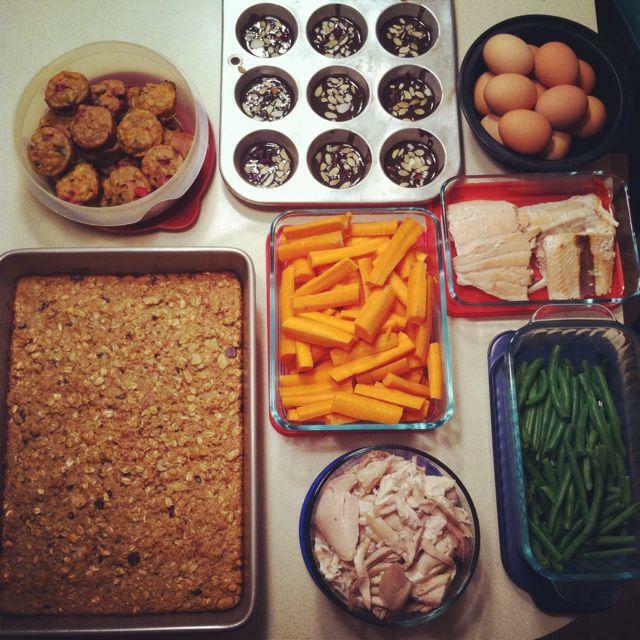 I’m still trying to get my roommate to understand the importance of meal planning & food prep and how it will help her eat healthy (and avoid wasting so much food) during the busy week. She seems to think she can only prep for a day or two at a time…you can only push so much. Thanks again for your pretzel recipe- I’m going to make them again this week, but with some cheese mixed through and on top!